According to a recent news article from CBS, Ford Motor Company is recalling approximately 391,000 Ford Ranger pickups manufactured between the years 2004 and 2006 after man died as a result on an airbag explosion. The recall was announced a few days after officials in South Carolina announced that a 52-year-old man from Kershaw was killed as result one of these defective airbags. Authorities say he was driving his Ford Ranger when he crashed into a cow that was in the road. After hitting the cow, he spun into a fence. His airbag deployed at some point during this accident, either when he hit the cow or the fence. However, his airbag, which was manufactured by Takata, a company that his been in the news a lot lately involving the defective airbags, attempted to inflate, but instead the activator charge completely exploded, and driver was hit in the neck by deadly metal shrapnel. He died as a result of the metal pieces hitting him in the neck and not from injuries sustained as a result of the car accident itself, according to authorities. 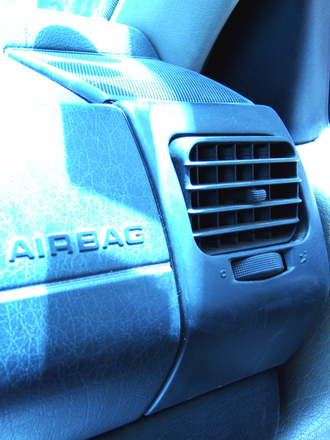 It is believed that if it had not been for the airbag actuator explosion, he would have only suffered minor injuries, and this is based upon findings from the coroner who performed an autopsy following victim’s death. It is now known that at least 10 people have died across the globe from defective Takata airbags and over a hundred more people have been injured. Safety testers from the National Highway Traffic Safety Administration (NHTSA) have been able to reproduce the explosions multiple times in a laboratory setting. The reason for these explosions is that Takata uses ammonium nitrate to cause what should be a small controlled explosion. The explosion released gas under pressure, similar to when a bullet is fired in a gun, and that force deploys the airbag. The explosion, though small, can be quite powerful. When ammonium nitrate is mixed with fuel oil, it can make a much more powerful explosion (ANFO), which is what was used in the Oklahoma City bombing and the 1993 World Trade Center bombing. In the case of these airbags, the explosive is deteriorating over time and causing the explosion to occur much more rapidly than engineers intended. This is causing the metal canister designed to contain and direct the explosion to break apart, throwing shards of metal shrapnel into the passenger compartment of the vehicle. In a products liability case, there is often a question as to who should or could be named as a defendant. In some cases, it is possible to sue the manufacturer of the defective component directly. However, if there has not been a lot of news coverage, it might be difficult to determine who is actually responsible. For that reason, in the federal court, as would be the typical forum in a case such as this, you can often sue any party in the stream of commerce, starting with party that sold you the product. If there is another party the retailer thinks should be brought into the case, they can do so by filing an impleader.